DP World has recently launched a new water distribution centre increasing water supplies in Somaliland’s Berbera by 60 percent. The US$1 million project started in 2018 and includes four water wells, two shallow pools, two water troughs, a concrete reservoir tank and seven kilometre pipeline connected to the main water supply. DP World has broken ground on a multi-purpose port development in Berbera in Somaliland. President of the Republic of Somaliland, Muse Bihi Abdi and DP World Group chairman and ceo Sultan Ahmed bin Sulayem launched work on the phase of the port project on Thursday. The first phase of DP World Berbera will consist of building a 400-metre quay and 250,000 square metre yard extension as well as the development of a free zone. According to The National investment in the first phase will be $101m, with a total investment of $442m in two phases. DP World Berbera is a joint venture and includes neighbouring countries such as land-locked Ethiopia, which has a 19% stake. The port is being constructed by Shafa Al Nahda Contracting. The soporific seaside town of Berbera is slowly changing as it takes on a major role on the Red Sea shipping route, allowing breakaway Somaliland to dream of prosperity and even recognition. 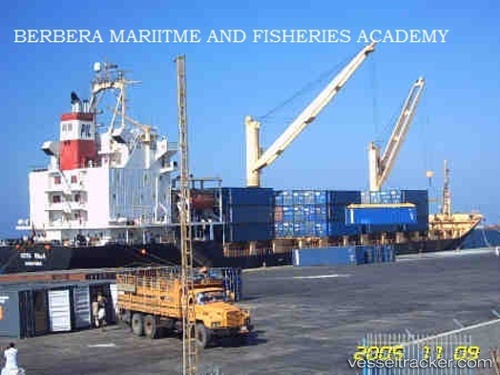 At the Berbera port, dozens of containers are stacked on a sun-scorched platform and a few cranes creakily transfer sacks of sorghum and other goods from a rusting cargo ship. The facilities are far from modern, but Somaliland hopes its position on one of the world’s busiest shipping routes will turn the state into a job-creating dynamo — and encourage international recognition 27-years after it split from Somalia. Somaliland’s ambitions were boosted in March when it struck a deal giving Dubai port giant DP World a 51 per cent stake in the port and Ethiopia 19pc. DP World says it plans to invest $442 million to modernise the port, with a first extension of 400 square metres to begin in October that is expected to take 24 months.